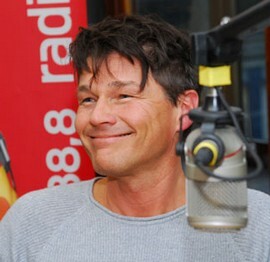 Morten has been in Berlin this week, to promote the live DVD. On Thursday, March 24th, he was a guest on Radio Berlin. A video clip of the full interview can be seen at radioberlin.de. 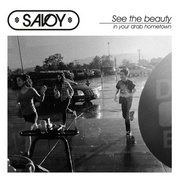 There is also a picture gallery on the same website. He was also interviewed on WDR2 radio. A part of the interview can be heard at wdr2.de. In the evening he appeared at the Echo Awards show, to present the award in the “Best international female artist” category. The winner was Amy Macdonald and a video clip of Morten presenting the award can be seen on YouTube here. 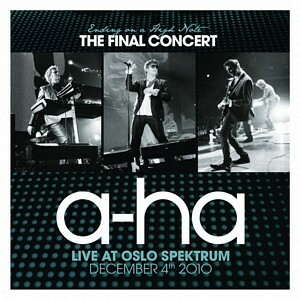 Then on Friday, he made a surprise appearance at an a-ha.com fan party which featured a full screening of the new live DVD. Next Friday, April 1st, Morten will be one of the guests on Skavlan – the most watched television talk show in Northern Europe. Skavlan is broadcast on NRK1 in Norway and on SVT1 in Sweden. 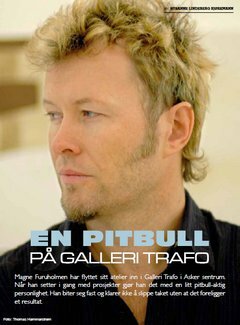 Morten has appeared on Fredrik Skavlan’s talk show twice before, in 2002 and 2003. Magne has rented two rooms in the gallery. One will be his private atelier and working space, while the second room will be used for other activities of his choosing. A PDF file of the full interview (in Norwegian) is available at livein.no. The full casting call can be found at starnow.com. 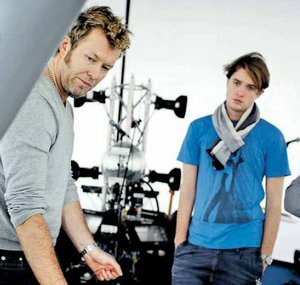 Magne in Berlin last week, working on the Apparatjik installation together with his son Thomas Vincent. Apparatjik opened their Light Space Modulator project at the Neue Nationalgalerie in Berlin this past weekend with a performance on Saturday that included a couple of new songs. To promote this month’s events the band has teamed up with Smart to create a unique discoball electric car, covered by thousands of mirror pieces. In the YouTube video above, Magne can be seen driving around Berlin in the car. He also provides the vocals on the accompanying “Combat Disco” track. A few YouTube videos from Saturday’s performance can be seen here. And a Danish company that delivered the sound equipment for the cube has posted some pictures of the rigging here. The Apparatjik Light Space Modulator continues this month, with new performances planned on March 26th and March 27th – the latter in collaboration with the Deutsches Kammerorchester. “I will be conducting the orchestra together with the others in Apparatjik, and that’s something I’ve never done before“, Magne tells VG. 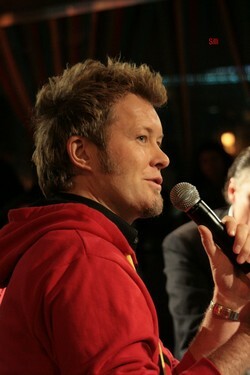 Magne during a discussion on March 4th. Prior to appearing at the Spellemann Awards on Saturday, Magne spent some time in Frankfurt, Germany with Apparatjik. On 25 February they performed at the opening ceremony of the newly renovated Deutsche Bank towers, now “one of the most eco-friendly high-rise buildings in the world”. There was also an English interview with Magne in the Deutsche Bank ArtMag, with his (written) answers being delivered in typical Apparatjik style. Then last week, from 2 – 4 March, there was an “Apparatjik Mini Summit” at the Deutsche Bank towers, as part of the “Globe” series of artistic events. Featuring film screenings, discussions and so-called “Apparatjik iPad Disco Combats”, these evenings were free and open to everyone interested. To get an impression of the iPad Combat, check out this video. For additional pictures and video links from Frankfurt, there’s a thread on the WOTM forum with more info. Magne is now in Berlin, where he’s preparing the Apparatjik Light Space Modulator – the art installation and performance project at the Neue Nationalgalerie that opens on Saturday, March 12th. 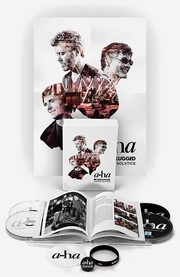 Signed copies of Just Loomis’ a-ha photobook are now available from his official website at justloomis.com. There are two pricing options; signed book with priority international shipping ($90.00) and signed book plus signed 8×10 print with priority international shipping ($225.00). Loomis’ exhibition “As We Are” at the Stenersen museum in Oslo is open until April 3rd. 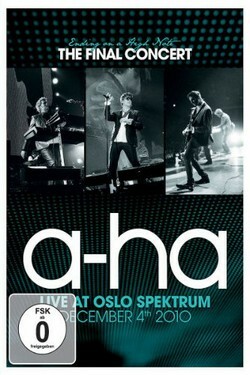 a-ha were given the honorary award at the Spellemann Awards for 2010, which were held at Oslo Spektrum on Saturday. 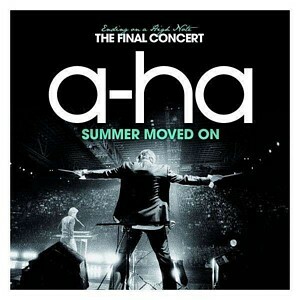 This is actually the third time a-ha have been given the honorary award – they also received it in 1987 and 2001. 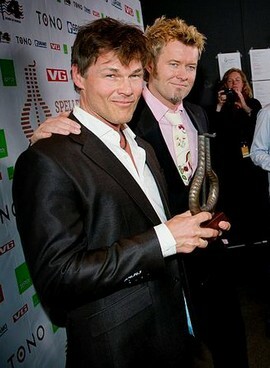 Magne and Morten had been specially invited, and was in the audience together with Heidi, Inez and manager Harald Wiik. Paul was in New York, where he is reportedly working on a new Savoy album. The award was presented by Kaizers Orchestra vocalist Janove Ottesen, Thomas Dybdahl, Ida Maria Sivertsen and Bertine Zetlitz, who opened the show with a cover version of “The Sun Always Shines On TV” as a tribute to a-ha. “Thank you very much. The last time we were standing in almost this exact same spot, was on December 4th. That was a special evening, just as this is turning out to be. We are a three-headed troll and we are missing one of our heads tonight. But on behalf of all of us I want to thank you all for a fantastic version of a song that’s actually 25 years old. And of course we can’t leave the stage without thanking our families and wives. According to my wife, that’s something we’ve never done before. We have really been touring a lot. And I wouldn’t necessarily say that he managed to tame the troll, but he kept us organized; Harald Wiik, our manager in recent years. Thank you. A video clip of the TSASOTV performance and the acceptance speech can be seen at tv2underholdning.no. Further down on the page is a clip of Morten and Magne arriving on the red carpet. VGTV also has a video interview with Morten, who had just returned from a holiday “far away from Norway”. And here is a video of Magne and Morten meeting the press after the show.